If procrastination, fear of rejection, fear of failure, fear of criticism, or any other fears make an impact on your work, this program is for you. This is not a ‘blast through your fears’ kind of workshop. Instead, we will get to know the fears as part of your personality and get really curious about why they are showing up. It is in getting to know our fears that we can change the nature of our relationship with those fears, work with them, and shift some of our patterns and ways of coping. Making Friends with Fear will be hands on – everyone will get a chance to get to know their fear parts. There will be a little explanation, a guided process, and group sharing. There will be some drawing supplies and time to draw in response to the process and what you learn about yourself.This process is gentle and welcoming for all parts of one’s personality, including skepticism, hope, frustration, and so on. Marta Johnson Lettofsky is a pianist and performer with a dozen years of gigging and performing in Chicago. 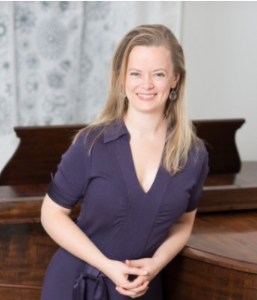 She has worked with the Lyric Opera, Music of the Baroque, Grant Park Music Chorus, Light Opera Works, Emerald City Theatre, and Chicago Folks Operetta, among others. In her quest to cope with performance anxiety, she found Internal Family Systems (IFS) therapy/coaching, which has been a transformational experience for her whole life. She has completed Levels 1 and 2 of IFS training. More info can be found at Inner Artistry. Pay via PayPal after registering below.